Last but not least, the Puntites who were regarded by dynastic Egyptians as their “ancestors” were depicted in the tomb of Rekhmire as being darker or the same shade as the Kemites themselves. According to history, the land of Punt was never under Egyptian subjugation, nor did the Egyptians caricaturize her peoples (as Eurocentric “scholars” emphasize to prove a white nationalist pride in the early nation of Ta-Meri). They regarded the Puntites as equals and of inhabiting a mysterious yet rich land. The same goes for the Keftiu people of the European island of Crete. So what is the problem? The Kushites were on the southern fringes of KMT. As were the Libyans and the Asiatics, of whom they despised even more. Politically hostile nations have fought wars for millenia and none of them magically become opposite races of Black and White upon doing so: North Korea fought South Korea in 1950; N. Vietnam fought S. Vietnam in the 70’s; Japan attacked and attempted to enslave the Chinese during WW II, and Hitler despised the slavic nation of Russia of which he invaded, resulting in millions dead; Spain fought the French; the British the Dutch; and on and on. All of the above would be classified as the same race, and neither become groups of Black and White, eternal enemies where one is passive and the other are intrepid civilizers standing at the pinnacle of humanity. What is the difference here? Worldview, and worldview means faith. Kemet and Kush were the first two and only two nation states on the planet (at one point). And faith in white supremacy whitens the Egyptians even though all evidence suggests the opposite. Should these two nations become minor in the role played from transitioning Man from savage, then their color (as opposed to whiteness) is accepted to a degree, and the role is safely shifted to Mesopotamia. “Bernal also believes that Egypt was fundamentally African, and therefore black. But he does not say what we are to make of the historical accounts of Egyptian pharaohs campaigning against black neighbours to the south, in the Land of Kush, as when Tuthmosis I of Egypt, around 1510 B.C.E, annihilated a black Kushite army at the Third Cataract and came home with the body of a black Kushite prince hanging upside down from the prow of his ship (Kendall 1982, 8; Breasted 1906,34). Perhaps Bernal thinks of this as African tribal warfare” (p274). “Although Egypt lies geographically on the continent of Africa, in anthropological terms the categorical labeling of the civilization of ancient Egypt as “fundamentally African” is misleadingly simplistic. In fact the archaeological evidence of African kingdoms south of Egypt suggests distinctly different cultures that were often in conflict with ancient Egypt” (pp.448-449). “Dental-alveolar prognathism, an inherited trait which is normal for the Nubian people, ancient and modern, may be observed in pharaohs Thutmose I, Thutmose II, Siptah and Merenptah, and most of the queens of the Twenty-first Dynasty (fig.9.10)” (p.332). “The cephalometric x-ray of Thutmose I reveals the prominent dental-alveolar prognathism most frequently observed in both modern and ancient Nubians” (p344). 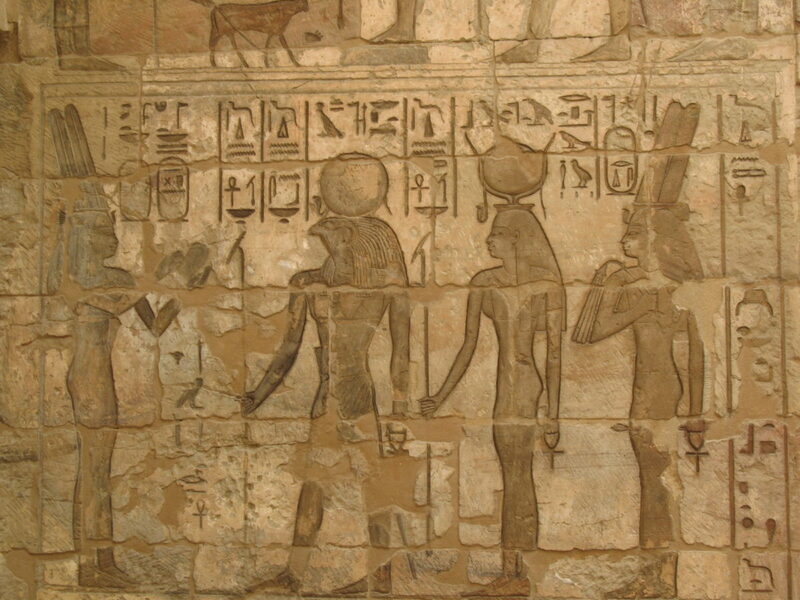 Kemet saw the Kushites as political rivals who were an existential threat to their soverignty. They bordered one another and were the first two nations. The political leaders of Kemet enshrined Kushite subjugation in their national constitution, it was their primitive thesis to the threat of a powerful nation of whom they assumed to have the same ambitions as themselves. Any nation would’ve done the same if they were practically isolated in their statehood. There was no black national African union so to speak. It was far too premature. Modern scholars play this up as a racial enmity because it is how they would react. It is a paradox in basically admitting that “we’re racist, and that’s what we do…but we’re not racists”. The west African empires fought the Mossi, and conquered one another in succession Ghana<Mali<Songhay. No one claims that this is a dynamic of white on black political overthrow. Again, the European powers of the Dutch, the French, the Portuguese, the Belgians, the British, nor the Germans (WWII) were opposite race, yet killed each other savagely.